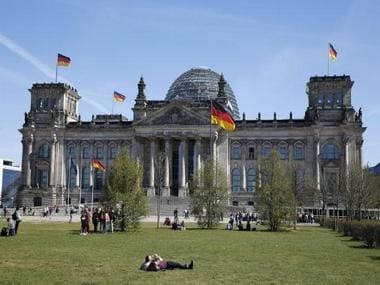 Brussels/Berlin: Jewish groups in Europe and the United States expressed alarm on Sunday at the far-right Alternative for Germany’s success in Germany’s parliamentary election and urged other parties not to form an alliance with the AfD. Ronald Lauder, president of the New York-based World Jewish Congress, called Chancellor Angela Merkel a "true friend of Israel and the Jewish people" and decried the AfD’s gains at a time when anti-Semitism was increasing across the globe. "It is abhorrent that the AfD party, a disgraceful reactionary movement which recalls the worst of Germany’s past and should be outlawed, now has the ability within the German parliament to promote its vile platform," Lauder said. The AfD, which has surged in the two years since Merkel left Germany’s borders open to more than 1 million migrants mainly fleeing Middle East wars, says immigration jeopardises Germany’s culture but denies it is racist or anti-Semitic. "A party that tolerates right-wing extremist thinking in its ranks and incites hatred against minorities ...will now be represented in parliament and nearly all state legislatures," the group’s president Josef Schuster said in a statement. "I expect our democratic forces to expose the true nature of the AfD and its empty, populist promises," he added. Germany, home today to an estimated 2,00,000 Jews, has built a reputation in recent decades as a tolerant, safe place for Jews to live, but official data show anti-Semitic crimes reported to the police rising 4 percent to 681 in the first eight months of 2017 against the same period last year.